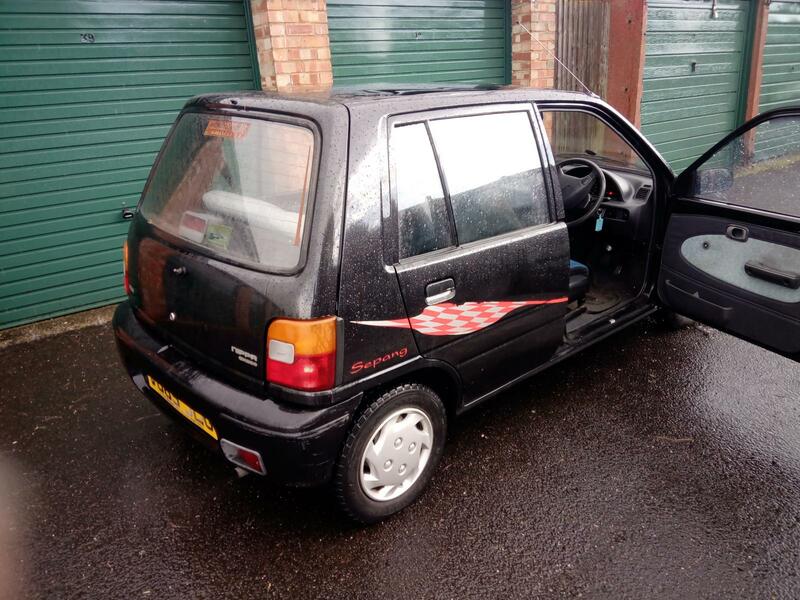 Smoll Perodua Nippa with smoll MOT. This biscuit tin is such a hoot to drive it, ideally, needs someone to fettle it for a longer life. MOT 11 May but will probably fail on windscreen, brake pipe corrosion, fuel pipe corrosion, rusty inner sills, clonky bush, drop links. 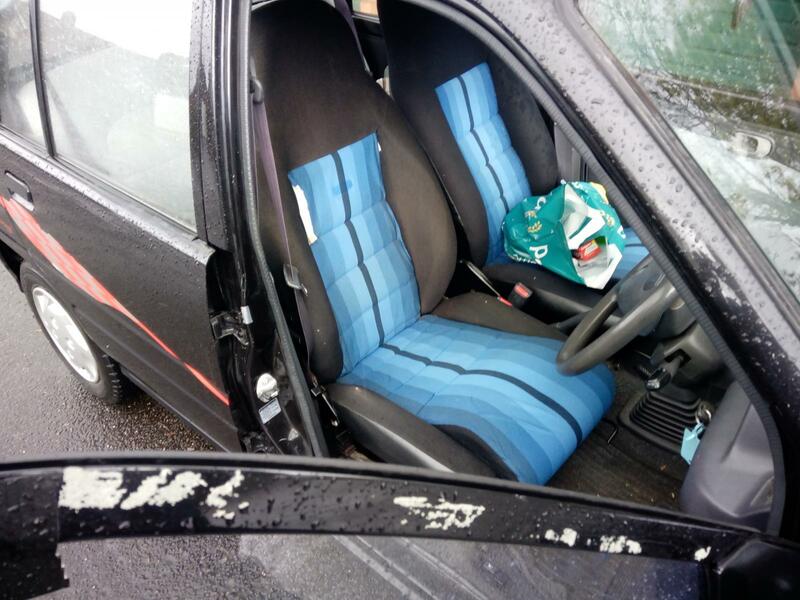 Also features perspex driver's window (for addded lightness), no headlining fabric (for added lightness) and bit of Gaffa Tape, rally seats, possibly uprated front shocks/springs. Offers or £100. This has got bucketeer written all over it! And it's very very very near where he works. That does seem like a lot of possible failures from when I got it tested last year. My mot man is a bit friendly to me but I'm sure he doesn't like me that much. It went for an MOT but THE MAN said "lets just have a look" before going through the routine, lifted it, poked at crusty jacking points etc and listed the obvious bits to be done before presenting it for real. The brake and fuel pipes may* just need a fettle with fine oily emery but the windscreen, structural rust and bushes need to be done plus possibly other bits as yet untested. Having jacked it up and crawled underneath i'll not be doing that again. 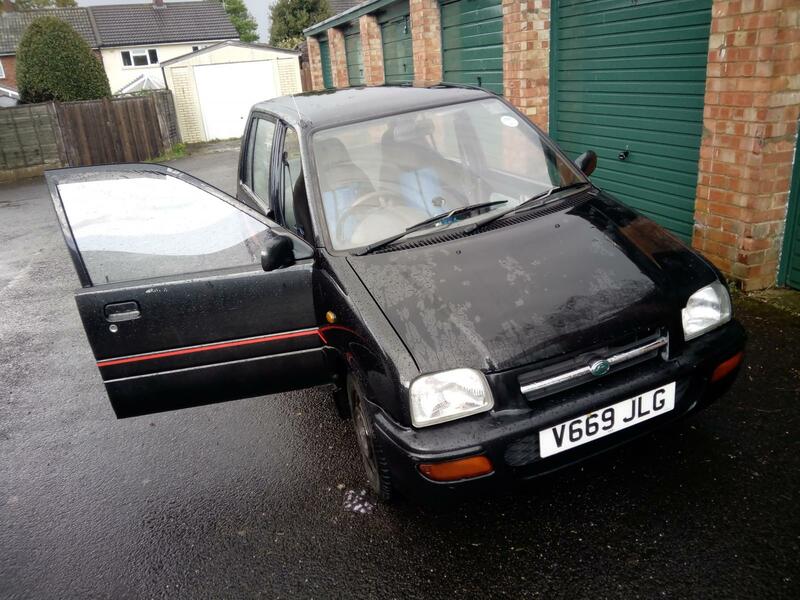 The underneath body rot (plus damage caused just by the jack) do mean it's a write off so it's now listed on Ebog for breaking, obviously the engine/gearbox/12 inch wheels would fit nicely in a Berkeley T60. I wonder if Wobbler needs any parts?